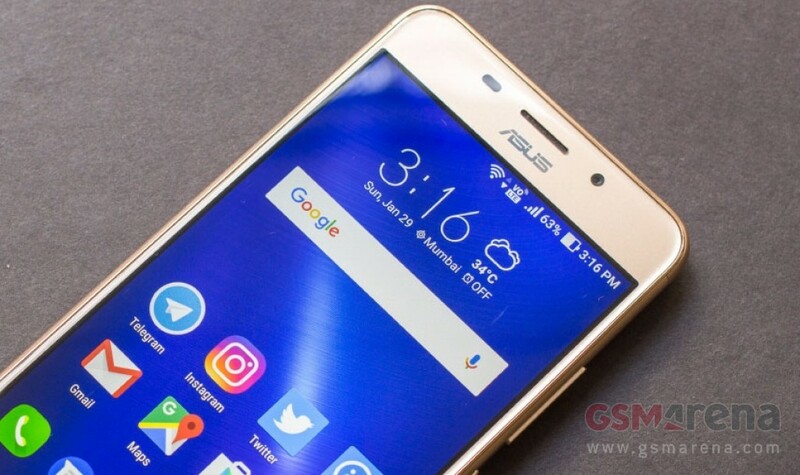 The Zenfone 3S Max has a 5.2-inch, 1280x720 resolution IPS LCD. The display isn't the strong point of the phone. After being spoiled with 1080p screens, even at the low-end of the market, the display on the Zenfone 3S Max feels like a blast from the past. The 5.2-inch size also doesn't do it any favors and the pixel density is just 282 PPI, lower than the iPhone 4 launched back in 2010. The colors also aren't particularly accurate, with greens especially having a distinct yellow shade. Asus also doesn't include its usual color calibration utility on this phone. Even the viewing angles falter considerably when you tilt the screen from side to side. It does get bright enough outdoors, which seems to be the only saving grace. The Zenfone 3S Max has all the basics covered in this department, even if it skips on some of the extras. The MediaTek MT6750 comes with a decent Cat-4 LTE modem, with VoLTE support and theoretical speeds of 150 mbps downlink and 50 mbps up. Having two SIM slots is also a plus, although, it is worth noting, the second one is hybrid, for a memory expansion option. On the local side, you get Wi-Fi a/c, Bluetooth 4.0, GPS and a pretty standard slew of sensors. The main highlight of the phone is the 5000mAh battery. As expected, the phone has excellent battery life, with two days of standby time with over 10 hours of screen-on time. This is with the phone set to the Performance mode, where it doesn't aggressively control the display brightness and with the Intelligent standby power optimization disabled. This is a separate setting from Doze, which is present and works as well as it does on other Nougat devices. Unfortunately, despite such a massive battery on-board, the Zenfone 3S Max does not have fast charging. This means it takes about four hours to charge the phone with the supplied 10W charger. Like the other Zenfone Max phones, the 3S can also charge another device with its battery. Unfortunately, this time Asus has chosen not to provide an OTG cable with the phone. In all honesty, however, it's not an enormously useful feature considering how slow the charging rate is and the need to carry the OTG adaptor around with you. In times when power banks are so cheap and common, you really don't need to use your phone to charge another device.